Editor’s Note: This is the second of two articles published in the last week examining important links between environmental conditions and public health as well as how nonprofits, intergovernmental organizations and national governments can help address these issues. Part 1 can be seen here. In the first article, I emphasized the importance for the health sector to become directly involved in the debate on environmental health. In particular, I briefly described the emergence of positive legal and political developments which might create entry points for global health actors into the arena, including the broad consensus which now exists on framing climate mitigation measures as public health measures, as well as the growing understanding of environmental protection in the context of human rights. Beyond courts and political leadership, however, there are several additional ways in which the nature of WHO as a normative and technical support agency could be harnessed in addressing the environmental determinants of health. These of course, are not meant to undermine the authority of environmental governance actors. On the contrary, they could be key in reaping the full health co-benefits that can come from environmental policies, whilst in turn encouraging bolder ambition and integration among different regimes. First, the uptake of multi-sectoral approaches to policy design, such as the concept of Health in All Policies (HiAP) and the One Health approach, appears necessary to operationalise the linkages between Sustainable Development Goal 3 (‘Ensure Healthy Lives and Promote Well-Being for All at All Ages’) and the other Goals and targets contained in the 2030 Agenda. For example, greater mutual supportiveness can arise from the improvement of environmental impact assessment laws, with a view to ensure an adequate consideration of the interplay between health and environment impacts in decision-making. Despite a consensus on the need to integrate Health Impact Assessments (HIAs) and EIAs, such an integration remains problematic. On the one hand, EIAs rarely incorporate assessments of pathways between environmental exposures and health outcomes. On the other, the promotion of HIAs as a separate tool greatly contributes to fragmentation and unnecessary overlaps. In this context, renewed UNEP/WHO efforts under the Health and Environment Linkages Initiative could be instrumental in providing the necessary assistance to countries seeking to develop more integrated frameworks for impact assessment. Secondly, WHO’s expertise can be leveraged to promote a more effective implementation of multilateral environmental agreements. Focusing in particular on capacity-building for risk reduction, risk assessment and improved coordination among sectors and stakeholders, WHO can help by fostering development of national action plans, use of guidelines and standards, and dissemination of training materials (one recent example involving a Secretariat report on the contribution of the health sector to safe chemical management). In addition, WHO can provide strong evidence of health impacts arising from environmental degradation and/or green economy strategies, due to its expertise on health metrics and indicators, and accordingly contribute to strengthening and harmonizing surveillance and monitoring of progress. Finally, WHO should promote the resilience of health systems in the face of environmental change (including climate change). 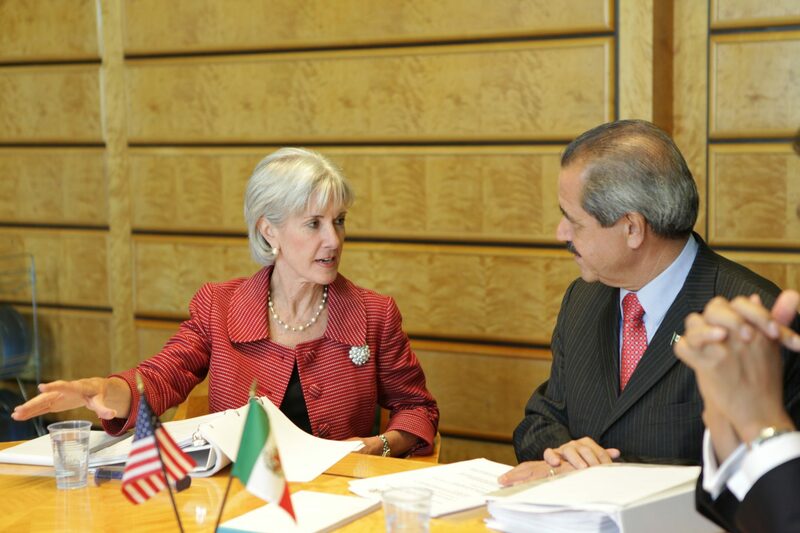 This would entail encouraging the inclusion of health elements into national climate adaptation plans, ensuring an effective training and management of health personnel to deploy in disaster response, and providing specific guidance on the improvement of public health infrastructure and the assessment of vulnerability and adaptation costs. During his election campaign, Dr. Tedros Adhanom, the new Director-general of the WHO, has effectively laid out a vision for placing health at the center of the global sustainable development agenda, and accordingly identified environmental change as one of his top five priorities. As the SDGs turn two years old this September, the urgency of streamlining such a vision into the work of the organization and in the wider UN system grows stronger with each day. Image courtesy of Flickr. Originally published by S&S on October 26, 2017. Dario Piselli is a PhD Student in International Law at the Graduate Institute of Geneva and a Research Officer at its Global Health Centre. He holds an MSc in Environment and Development from the London School of Economics and Political Science and a J.D. from the University of Siena (Italy). In 2014, he was one of the founding members of SDSN Youth, the global youth chapter of the UN Sustainable Development Solutions Network, and now serves as its Project Leader for Solutions Initiatives. He is based in Geneva, Switzerland. His main research interests include international environmental law, environmental diplomacy, biodiversity conservation, ocean, seas and marine resources governance, climate change, sustainable development, and human rights law.